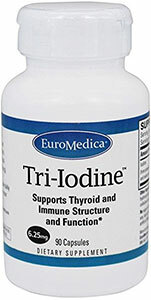 Supports Thyroid and Immune Structure and Function. Coleus Forskohlii — A phytochemical in this extract mimics the effect of thyroid-stimulating hormone to enhance iodine uptake and thyroid hormone production. Studies show it has supportive effects on the immune system, body weight, and for depression.